Does your little one want to have a blast with Monster Trucks? 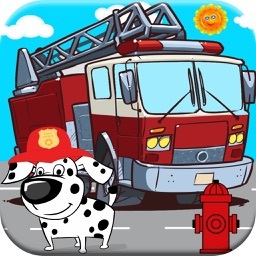 Have an awesome time playing the toddler friendly Monster Truck driving games, matching games, and more! 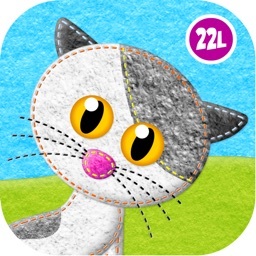 And the best part of this fun Monster Truck game app is the super cool sounds and animations! 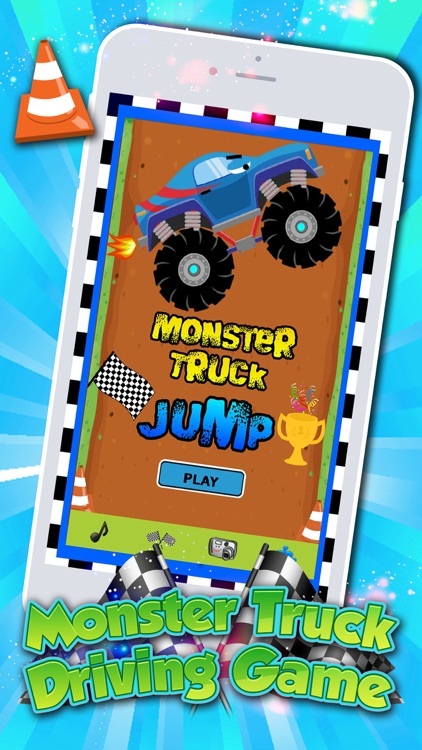 See Monster Trucks doing traditional rally jumps and silly things while they rev their engines and groove to funky music. 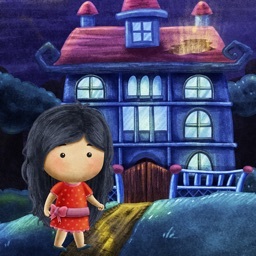 The easy to use interactive tap and tap sounds make this feature a roaring good time! 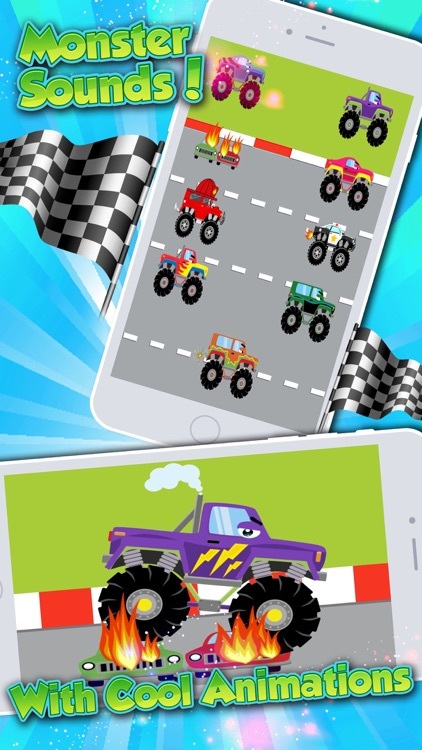 Your little driver will get to play with awesome monster trucks crushing cars, monster trucks crash, jumping over a volcano, and even getting present from some reindeer. Monster Truck lovers will adore wicked sound pages that respond by touch. 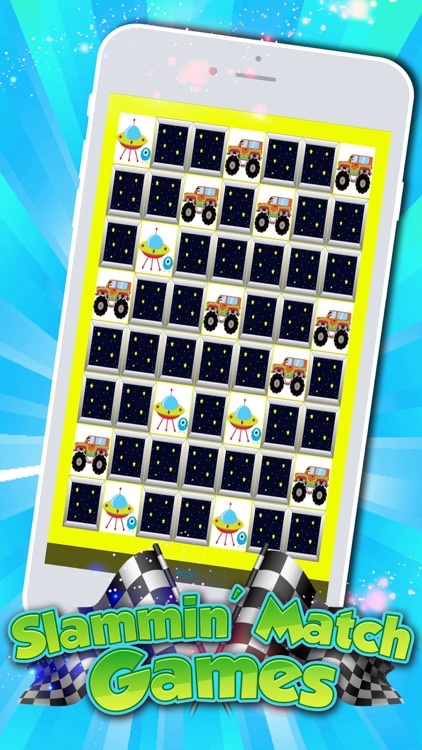 Easy for first time app users and totally fun for everyone, you will have a groovy time playing the Monster Truck Game! 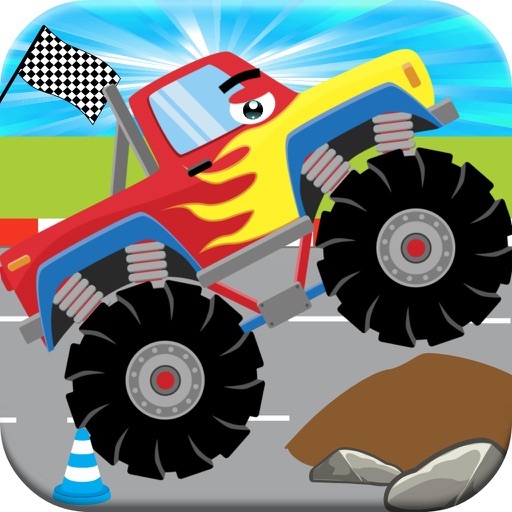 This fully responsive monster truck game is designed for all ages and is truly fun and exciting. 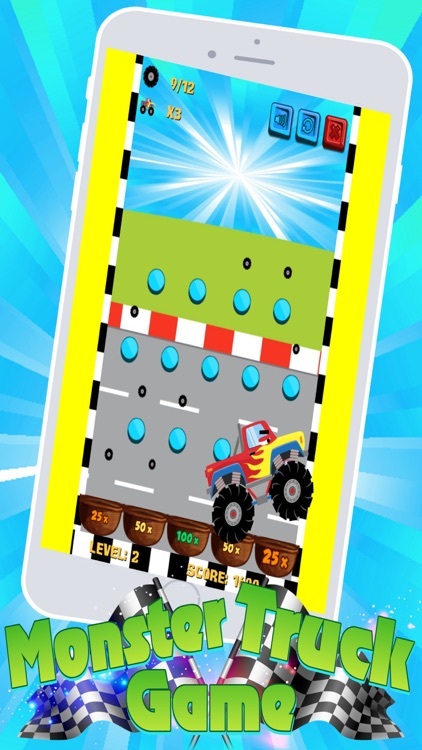 Your little driver will get to steer a monster truck on the track, while avoiding other cars. 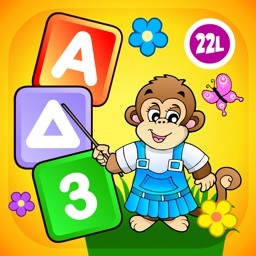 It's interactive and toddler friendly driving fun! 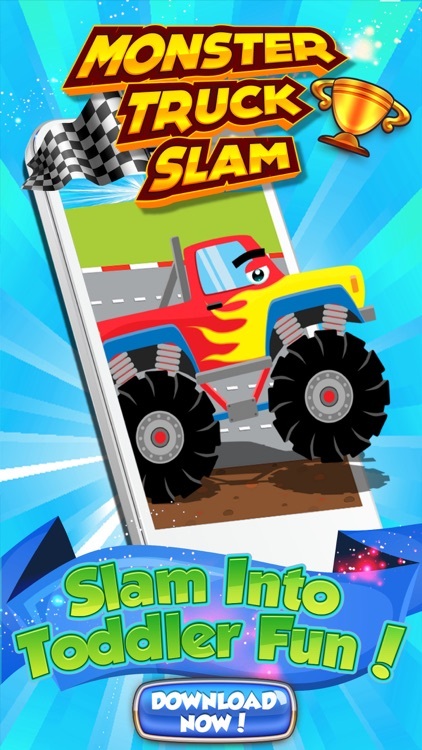 Have a rocking time playing with Monster Trucks in the Monster Truck Activity App and let your child have fun learning through play with a Play n' Learn App!